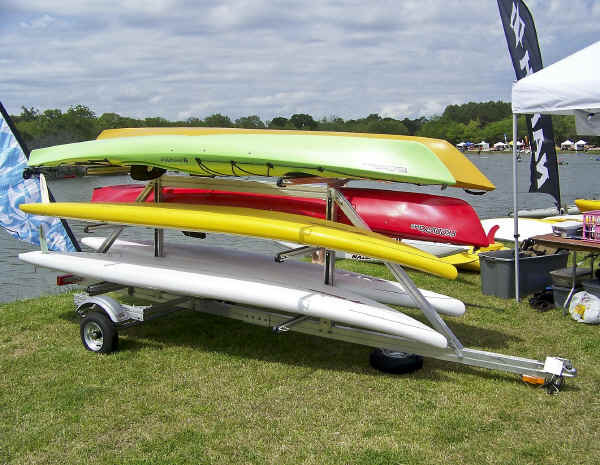 The Trailex SUT-450-M6 Multiple Kayak, Paddle Board or Surfboard Trailer is very lightweight, yet extremely sturdy. Carry 6 Kayaks or up to 12 SUP Boards. The Trailex SUT-450-M6 Multiple Kayak, Paddle Board or Surfboard Trailer has plenty of room for both short and long kayaks. 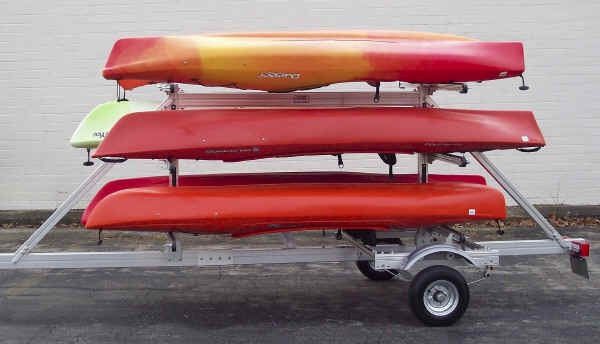 The trailer shown here with 9 foot kayaks can easily carry up to 21' long kayaks. 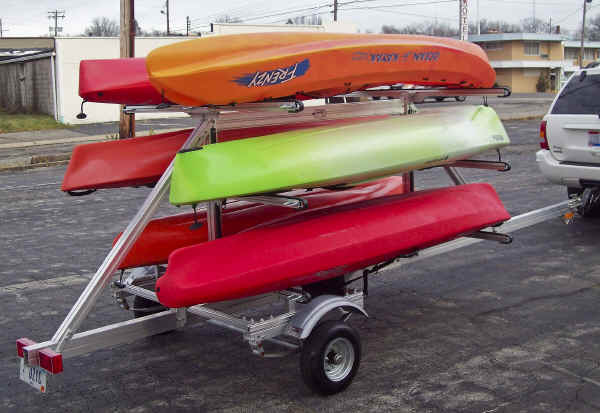 Model SUT-450-M6 Multiple Kayak, Paddle Board, or Surf Board Trailer has epoxy coated leaf springs, giving it a carrying capacity of up to 450 lbs. 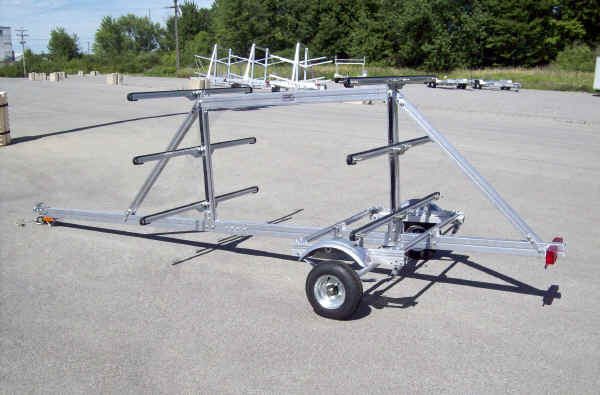 This trailer is packaged for UPS shipment and is easily assembled using only simple tools. 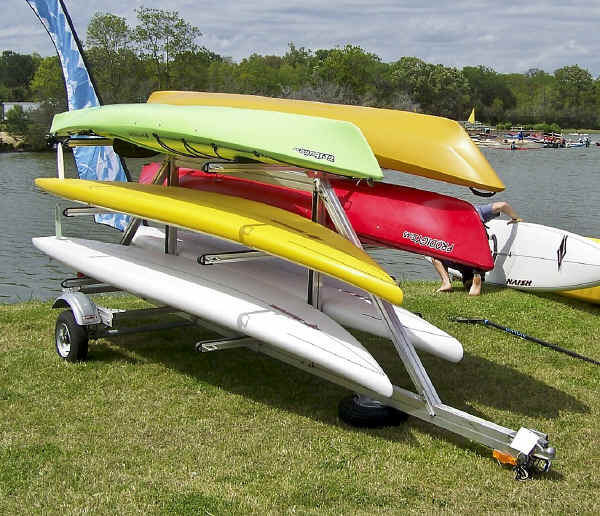 Since the kayak trailer is made of aluminum, it is maintenance-free in addition to being strong and lightweight. 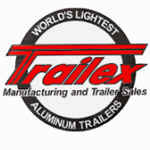 Its light weight allows towing with today's smaller vehicles. SUP (stand up) Paddleboards or Surfboards can be double stacked to give extra capacity on the Trailex SUT-450-M6. The Top bar is full width, so a single Canoe could be carried on top and four kayaks below. You can mix and match different boats and boards. The Trailex SUT-450-M6 Trailer is light enough to even move by hand when loaded. The Trailex SUT-450-M6 adjusts to fit different boat heights. 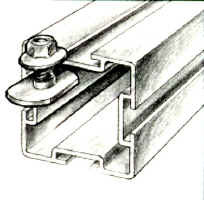 The Cross Bars can be adjusted to vary the vertical spacing. 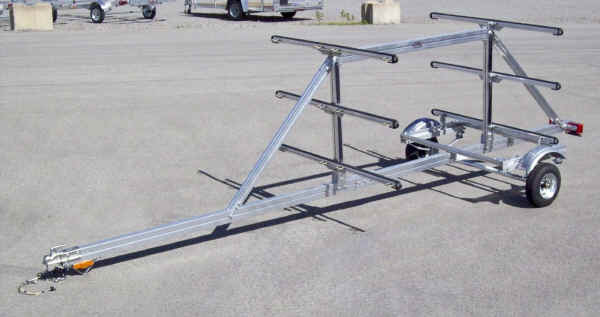 A truly adaptable Multi Boat Trailer. 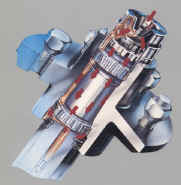 The Trailex SUT-450-M6 is built for rugged use. Note the center top beam and fore and aft diagonal support beams. 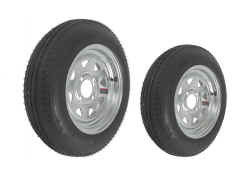 These are not found on many other so called economy trailers. 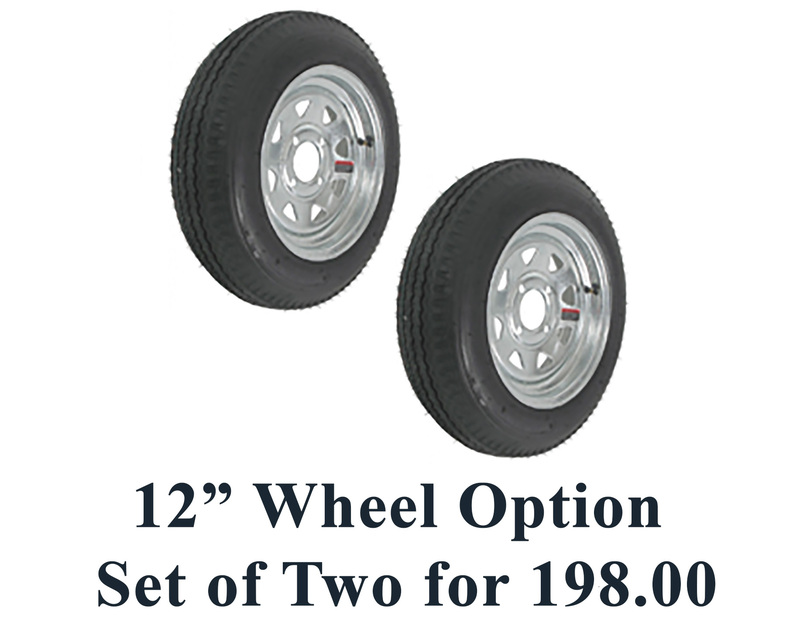 ** 30TPAK contains 30 each T-Bolts & Locknuts for attaching your options on the trailer. We do not recommend drilling holes in the aluminum extrusions. The T-Bolts will slide to any position on any of the extruded parts to allow you to fasten your own options such as kayak cradles or other items.